Chief Technology Officer & Managing Partner of Cambrian Asset Management. Please join Family Office Insights for Cambrian’s luncheon on Tuesday, December 12th at 12PM. If you care to join us, please email admin@familyofficeinsights.com. Family Office Insights sits down with Adam Jackson, CTO & Managing Partner of Cambrian Asset Management, to discuss the unique new blockchain investment firm that employs a research driven, rules-based system to manage a portfolio of digital assets, including Bitcoin, Ethereum and dozens of others. Tell us about your background and your company, Cambrian Asset Management. 1. MarketSquare - In 2004, I founded my first venture-backed business, MarketSquare, the first online local shopping destination on the Internet, which was acquired by Intuit in 2006. 2. DriverSide - This online resource for automobile owners to buy, own and sell cars, parts and accessories was founded in 2007 and acquired by Advance Auto Parts in 2011. 3. Doctor On Demand - I co-founded Doctor On Demand with Dr. Phil as a healthcare service that provides on-call video chats with board-certified physicians and psychologist via smartphones. We have raised $87M in venture capital and are currently the largest provider of video visits in the US. For the past eight years, I have also been an active angel investor in over 30 startups, including Zenefits, Rapportive, Automatic, Bolt, Placer, MyTime and Superhuman. Over the last year, I’ve been deeply focused on the blockchain space, both as a software engineer and as an active investor in 30+ tokens. Martin Green is the Partnership’s Co-Chief Investment Officer & Managing Partner. He has been involved in the intersection of finance and technology since 1995 when he worked in the tech banking group of Morgan Stanley, which took Netscape public. 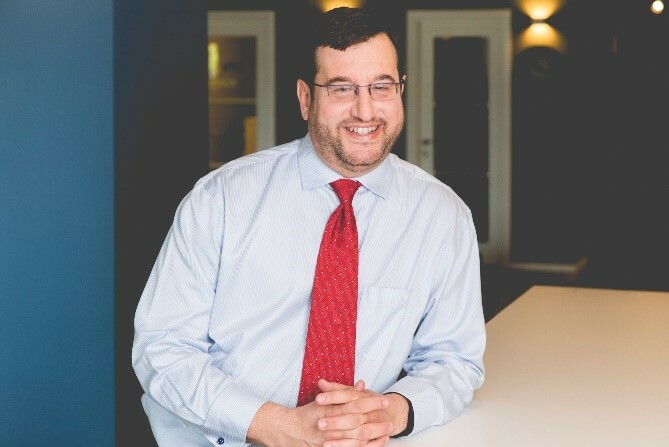 Early in his career, at CNET Networks, he was Senior VP and helped the Internet company create a profitable business during the shift of media and advertising dollars to the Web, and worked closely with the product and engineering teams during the shift from on-premise to cloud computing. CNET Networks was bought by CBS for $1.8 billion. Mr. Green was President of Meebo, an Internet messaging company backed by Sequoia Capital until Meebo was purchased by Google in 2012. Since 2012, Mr. Green has been an early stage and public market technology investor through his fund, HawksHead Capital. Martin was first introduced to Bitcoin in 2011 and recently has begun to invest in other blockchain networks. Jay Posner is the Partnership’s Co-Chief Investment Officer & Managing Partner. He has been active in the field of investment management since 2004 and in the financial sector since 1999. Early in his career, Mr. Posner was a senior analyst at Zimmer Lucas Partners, a $2 billion hedge fund at the time, where he launched and headed the firm’s real estate and energy trust equity strategies. Mr. Posner later joined Millennium Partners as a portfolio manager where he led a four-person team managing a real estate securities portfolio with peak AUM of near $1 billion. Most recently, Mr. Posner founded Blue Cub Capital Management where he managed a fintech-focused portfolio. Blockchains will do for money, identity, contracts, ownership, and other assets what the first generation of the Internet did for text, audio, video and other information. Blockchains are a new type of Internet database that allows assets to flow across the Internet in a secure and decentralized way. The math, computer science and incentive structures are as profound as the first generation Internet technologies. Because of blockchains, we can now bring onto the Internet money, identity, contracts, real estate and many other major sectors of our economy that had, until now, largely been left untouched by the disruptive forces of the Internet. Over the last 25 years, there has been several trillion dollars of disruption to media and consumer retail because information flowed across the Internet in a decentralized, connected and programmable way. Companies like Amazon, Alibaba, Facebook, Google, Priceline and Uber are all Internet-native aggregators of this information. Blockchains will enable various forms of assets to flow across the Internet in a decentralized, connected, and programmable way. Additionally, blockchains can create incredible security for these assets, rendering them immutable from attack by nefarious actors or malevolent governments. It’s very likely that the Amazons and Googles of Internet assets are blockchain networks like Bitcoin, Ethereum and many others specific to each of the specific assets they address. These blockchain asset networks aren’t companies. You don’t buy equity in them. You buy their protocol or application token, a scarce resource that capitalizes and fuels the blockchain network. As the blockchain network attracts more users and more economic activity flows across it, demand rises for the tokens and the value of each token rises, because the supply of tokens is mathematically and cryptographically limited. We believe that there will be a "Cambrian Explosion" within the blockchain space, where significant innovation will happen rapidly and result in the potential for trillions of dollars of value creation. Over time, we believe that several trillion-dollar blockchain networks will exist and dozens of other blockchain networks will be worth tens or hundreds of billions of dollars. We created Cambrian to be the most efficient vehicle to capitalize on the explosive growth that we expect over the coming years. We believe that our strategy is unique to the blockchain space. We employ a systematic, rules-based approach designed to own a broad portfolio of the largest and most liquid tokens using a multi-factor model. The main objectives of the strategy are three-fold 1) efficiently capture the long-term growth of the asset class no matter which blockchains win, 2) have broad exposure to dozens of tokens to meaningfully participate in probable power law outcomes and 3) perform rigorous due diligence to mitigate risks of owning tokens where fraud or regulatory violations exist. As Chief Technology Officer Cambrian Asset Management, I understand the depth and complexities of blockchain assets, which requires the skills of a technically trained engineer. What is the ideal investor group? 1) long term capital returns from the total growth of blockchains, no matter which blockchains "win" or "lose." 2) high quality custody, compliance and security, coupled with top administration, audit and bank partners. 3) low investment manager risk from biases, errors of omission, concentration or overtrading. 4) low costs from trading, fees and taxes. The biggest challenge is that this nascent technology is extraordinarily unique and complex, particularly when compared to traditional asset classes. There’s a steep learning curve and material time investment required to understand the intricacies of blockchain networks, the technological and economic breakthroughs they represent and how disruptive it will be to the global economy. Further, investors buy fractional ownership of an asset network - not an ownership share in a company, so naturally questions arise in terms of how to value these assets, since most of them are not rent-seeking entities. Finally, the markets and entities on which these assets trade are unique to blockchains, with varying degrees of quality and compliance. How are you different from your competitors and how are you changing the landscape of your industry? There are many dozens of other blockchain-focused funds that have recently launched or are in the process of launching. The vast majority of those funds have strategies that fall into two categories: venture and trading. 1. Venture: similar to traditional VC, these funds are focused on making early-stage investments but in blockchain projects instead of companies. While we believe that this is a viable strategy, we expect to see a similar dynamic that exists in traditional venture capital where the top few funds garner the lion’s share of returns in the strategy with the remaining majority of venture funds generating sub-par returns. 2. Trading: these are funds designed to profit through active trading from the volatility and inefficiencies that currently exist in the space. While we also view a trading approach as a potentially valid strategy, we have some considerable concerns. First, given the significant long-term growth potential that we see in blockchains, will these active traders be able to beat the broader market, let alone net of very high fees? Second, can an active trading strategy operate at any meaningful scale? Currently, outside of Bitcoin and Ether, very few tokens have sufficient liquidity to support a high-turnover strategy without having material market impact. Lastly, how do you determine with of these traders has an edge? To date, we suspect that edge to be primarily the result of insider trading which has been rampant given the lack of regulatory oversight. The status quo in that regard will not last much longer. In both of those strategies, investors are exposed not only to the considerable risks of investing in such a nascent and volatile asset class as blockchains, but also to considerable manager selection risk. Investors may correctly invest in blockchains, but negate their return potential by investing in the wrong managers. We are changing the landscape of investing in blockchains by providing the most efficient, institutional-grade, low-fee vehicle to invest in the asset class. We believe that it is incredibly difficult to pick winners and losers at this stage, whether that be tokens or managers, and that the risk most worth taking is on the growth potential of the blockchain asset class as a whole. It is probable that most active managers, whether venture or trading, will underperform what the broader blockchain market does over the long-term. At Cambrian, our investors will do well as long as the blockchain asset class does well, no matter which specific blockchains do well. In the current environment, we can comfortably manage >$1 billion while being sufficiently liquid to execute our strategy. Our ideal investors are family offices and institutional investors that are mindful of the volatility that exists and size their investment so they can take the long view and be our long-term partners as we capitalize on the evolution of blockchains into a multi-trillion dollar asset class. We are only a few weeks into fundraising and we’re very encouraged by the significant capital commitments we’ve already received from hedge funds and family offices. Our mission is to be the most reliable, lowest-risk, and most trusted way for institutional investors and family offices to invest in the growth of a blockchain asset class. 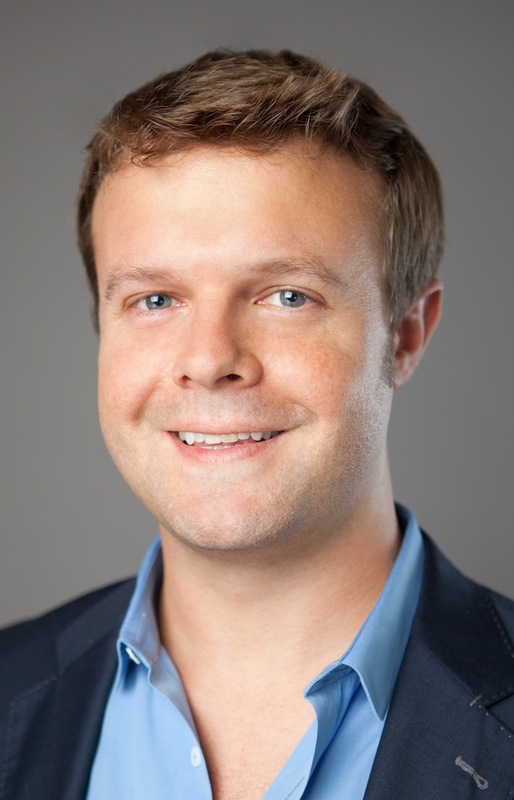 Adam Jackson is the Partnership’s Chief Technology Officer. He is a serial technology entrepreneur and angel investor obsessed with creating beautiful and intuitive software. He was most recently CEO and co-founder of Doctor On Demand, a healthcare service that provides Video Visits with board-certified physicians and psychologists via smartphone, the largest of its kind. Doctor On Demand delivers services through employers, health systems, health plans, and directly to consumers and has raised $87M in VC. His previous business, DriverSide was founded in 2007 and was acquired by Advance Auto Parts in September of 2011. His first venture-backed business, MarketSquare, founded in 2004, was the first online local shopping destinations on the Internet. It was acquired by Intuit in September of 2006. In addition to being an active cryptocurrency investor, Adam is also an angel investor in 30+ companies, including: Bolt, Placer, Aktana, Rapportive, MyTime, Automatic, Womply, Superhuman and Zenefits. For more information, please reach out to Adam at Adam@jacksonfound.com.